Ninety-nine dollars. What does that buy you these days? If you focus solely on high-performance audio gear, it buys you some pretty cool stuff. I can think of at least a half-dozen more-than-listenable earphones for that amount, or less. And companies such as FIIO have players that support up to 96/24 FLAC files for under $100. But what if you want a headphone amp that can drive difficult headphones? 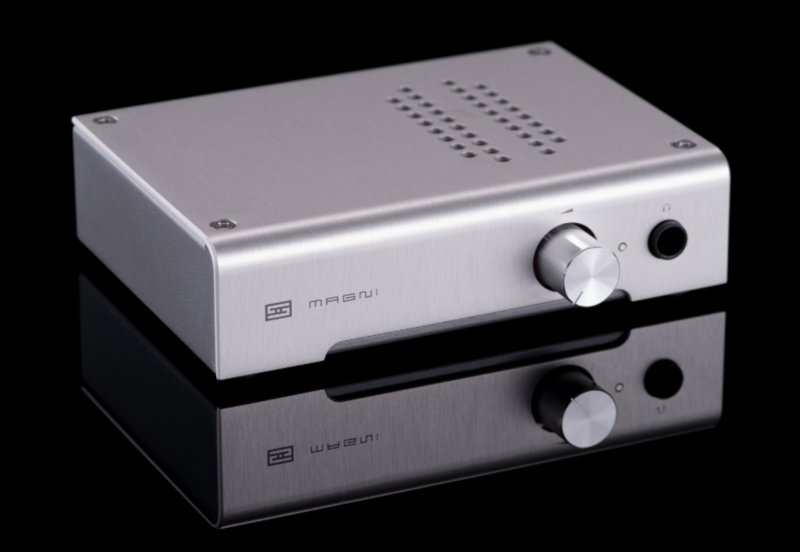 Well, Schiit Audio has that covered, too, with its new Magni 3 headphone amplifier. Schitt claims its Magni 3, which costs less than a C-note, can not only power hard-to-drive headphones, but is also quiet enough to use with in-ear monitors. Let’s see if this Schiit is for real. The Magni 3, while inexpensive, is not some cheaply made, replace-as-soon-as-possible component. Even its metal case sports a better-quality finish and more robust construction than the vast majority of “entry-level” components I’ve seen. While I didn’t try this, I suspect that you could run over the Magni 3 case with a Ford F-150 without damaging its inner workings. On the tech side the Magni 3 has some excellent specifications. With less than 0.001% total harmonic distortion from 20Hz to 20kHz at 1 volt RMS, and less than 0.02% at 5 volts RMS into 32 ohms, its intermodulation distortion figure is under 0.001% CCIF. Signal-to-noise is a very quiet 108dB unweighted at 1 volt RMS. Crosstalk is -70dB down whether the gain is set for 6dB (low) or 17dB (high). Schiit calls the Magni 3 a “fully discrete, fully complementary, all-bipolar, symmetrical current-feedback design with no capacitors in the signal path and DC servo.” The power supply is a wall-wart style 24VA/14VAC transformer that is regulated to produce +/-17-volt rails with over 6000uF filter capacitance. As its name suggests, the Magni 3 isn’t the first Magni that Schiit has produced. The Magni 3 replaces the original Magni and the Magni Uber. The Magni 3 has double the output power of the original Magni and adds the preamplifier outputs and aluminum top from the Uber. Other differences include the new fully discrete gain stage, faster shutdown due to a new muting circuit, and an improved potentiometer curve with a slower ramp-up from low volume. For those inclined to modify and tweak everything they buy, one word of caution: Don’t try replacing the stock power supply with a “better” one without first checking the specifications; the Magni 3 uses an AC wall-wart, not the far more ubiquitous DC version.